"Islam is about social justice." In most mosques, women have to sit in the back rows. Sometimes, they’re forced to sit in partitioned rooms, far behind the imam leading the service, where they have to pray separately from men. For Rabi'a Keeble, this reminded her of what Rosa Parks, and all black people in the US for that matter, went through in the mid 20th century — an imposed inferiority, a second-class citizenship. She also felt that there were all sorts of microaggressions within mosques that made women feel uncomfortable. For example, men would criticize the hijabs women wore and generally dismiss female participation. So she decided to challenge this deep-seated gender disparity by starting her own mosque in Berkeley, California, one that would not only let women sit wherever they wanted, but one that would actively encourage gender equality. At the top of that list: allowing female imams to lead the congregation. "Religion asks us to fight segregation and bigotry, for this is not how we are going to go forward," she added. "This is how we be Muslims — or non-Muslims — together." Keeble, who has a master’s degree in religious leadership and social justice, began gathering support for the idea this past January. She was able to find a space in the Starr King School for the Ministry, part of the Graduate Theological Union. 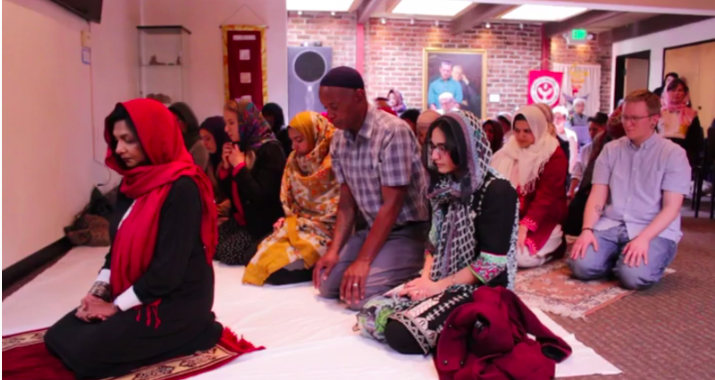 It’s only the second women-led mosque in the US. She named the mosque ”Qal'bu Maryam," or the “Heart of Mary,” to honor the mother of Jesus Christ, a prophet in Islam, and the central figure in Christianity. It had its first prayer session last week. Around the world, the roles carved out for men and women within Islam are often seen as imbalanced and unfair. The most jarring example of this is in Saudi Arabia, where a woman can’t drive or even go into public without a male member of her family. Read More: Saudi Arabian Woman Gets Breakfast Without a Hijab. Men Call for Her Death. Keeble thinks that this doesn’t represent Islam, which she says is about peace. "We have a long history of being a sanctuary for people at the margins of their religion traditions and communities, [which] benefit when women are free to offer their gifts and wisdom, and are recognized for their contributions and efforts,” she told NBC. To promote this idea of diversity and tolerance, she’s doing what she can to encourage interfaith dialogue by creating classes for people from different backgrounds. Ultimately, she hopes her work will help to not only broaden the space for within Islam, but also change how outsiders view the religion. "The thing that people often miss is that Islam is about social justice — this gets lost in the system of patriarchy, and we women have to put up with it," she said.